Childhood obesity is a growing problem in our society. Encourage children to make smart choices when it comes to meals and snacks. Offer pre-cut produce to promote portion size and make these items easier to eat. 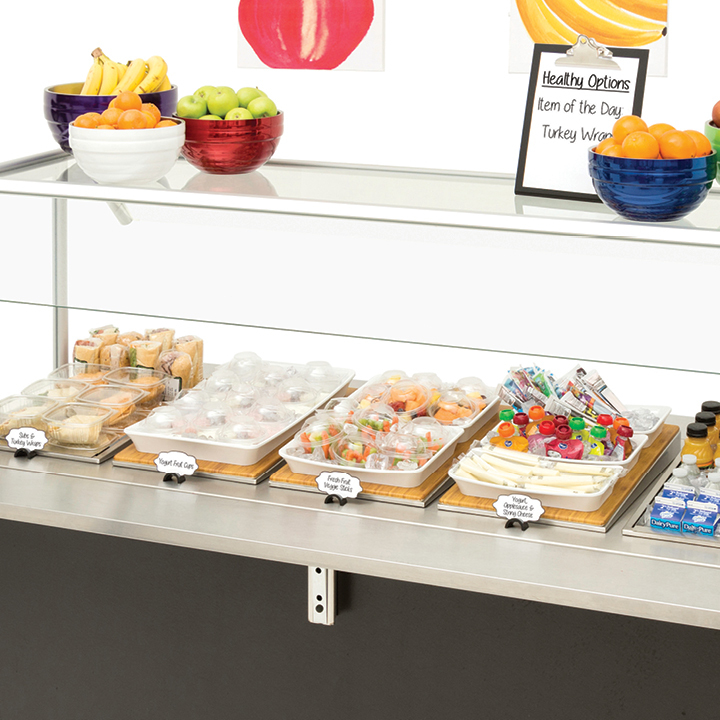 Make fruits and vegetables the first thing students see as they go through the lunch line. Colorful packaging also attracts students to healthier options. Simple merchandising ideas like this give kids the right idea and helps them develop better eating habits. 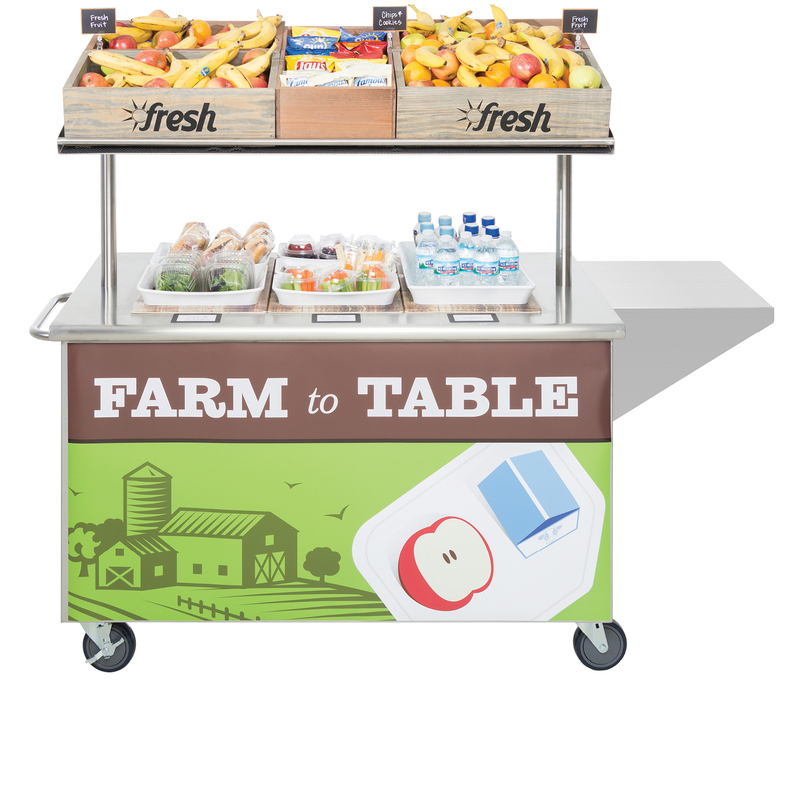 Transform the popular school breakfast cart into a mobile lunch station that helps expand the traditional stationary lunch line. Kids can still get healthy options like fresh fruit and vegetables without standing in a long line to be served. Hectic schedules and outside activities can make it difficult for students to catch a square meal. 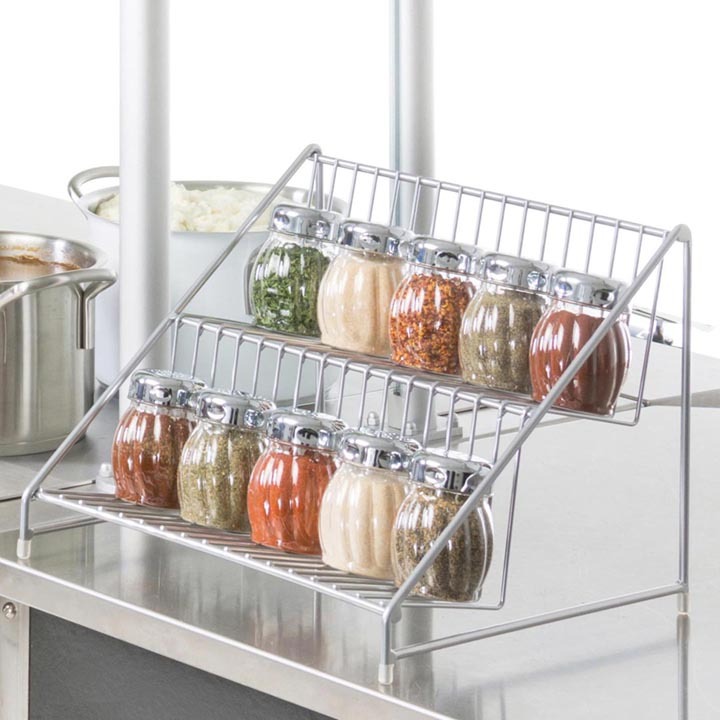 Fill grab and go stations with attractively packaged foods. This will encourage the student on the run to make a quick selection before heading on their way, instead skipping a meal. Turn the traditional bowl of oatmeal into a special meal experience. 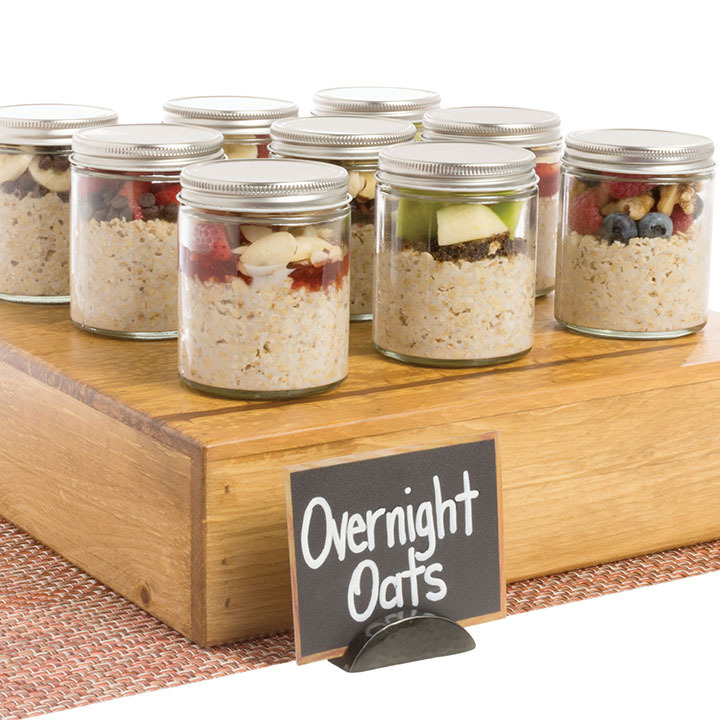 Whether you offer the popular overnight oats or build a create-your-own bowl station with unique, fresh ingredients, this dish is a sure way to bump up the nutrition value. Add diced cooked chicken and super grains like quinoa to the traditional salad bar, and you have turned it into a complete nutritious meal that fuels mind and body. 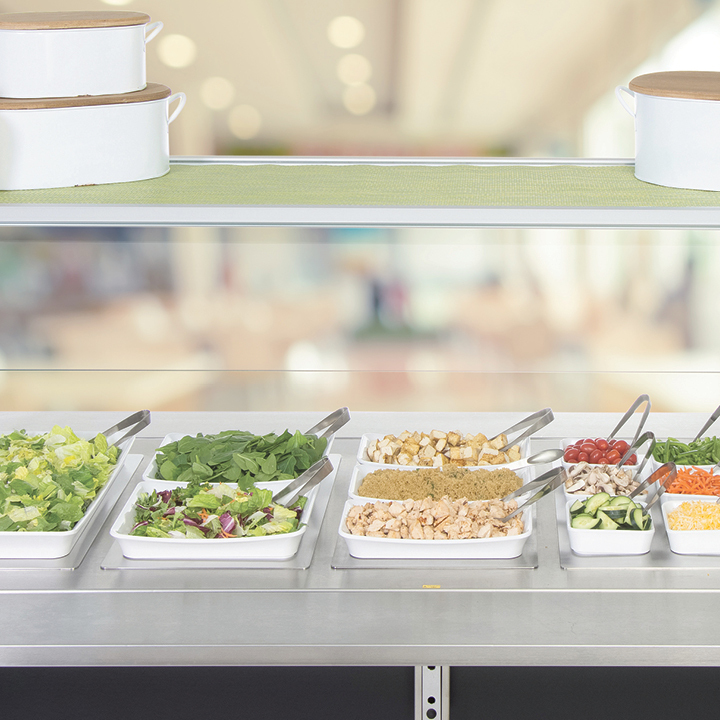 Freshly prepared salads and sides inspire students to try new flavors and meal combinations. Even the pickiest eaters will try new things when they are given options and choices. Show them how traditional foods like oatmeal and salads can be made special and new by changing up how they are merchandised. Offer students low-sodium choices when it comes to spicing up their meal selections. Hot sauces, complementary seasonings and fresh citrus go a long way toward adding flavor without all the salt. Steer Students Toward Good Nutrition — We Can Help! Our team of education experts is ready to help you with a free school merchandising consultation. We will collaborate with you to provide custom solutions that meet your specifications and help you complete your project on time and within budget.